ремонт квартир. ремонт офисов. http://rem13.ru ремонт дома. блог. Non-governmental educational institution of higher professional education International Institute of Business Education (MIBO) was established in 1994 as Murmansk Humanities Institute (MHI). Under that name it was known to its national and international partners for 18 years. In March, 2012 MHI officially changed its name to the present one. The new name does not mean that we are reducing our academic programmes. It reflects the main focus of training and instruction. The teaching process in MIBO is arranged to meet the strictest Russian State Standards for higher professional education, as well as the demands of the contemporary labour market and professional communities, which helps our graduates adjust to the rapidly changing world. The status of MIBO is fully licensed and accredited by The Ministry of Education and Science of Russia. In 2010 MIBO received the Management System Certificate ISO 9001:2008. Studying process in Murmansk International Institute of Business Education is realized according to the governmental requirements of Higher Education in Russia. Institute has a perpetual License and Governmental Accreditation in the following fields: Economics, Trading Business, Economic Security, Law, International Law, Psychology, Psychology of Employment Activity, Journalism, Linguistics. Two degrees of education are presented: Bachelor Degree and Specialist Degree. We also have full-time educational programs, part-time, extra-mural and on-line study mode. MIBO students have their internships in companies and organizations of Murmansk and Barents regions. International Institute of Business Education is located in the centre of Murmansk in a separate building. Cozy rooms full of light, language lab, computer classes, gym with trainers, library incl. digital materials and reading hall. Students and lecturers have permanent access to the Internet. MIBO web site shows important news and activity’s directions. Democratic government implies elective student organization – Student Parliament, which is very active in inner institute’s activities and city’s youth events. MIBO Graduates’ Association unites more than 5 thousand people who currently work in Administrations, banks, law enforcement, editorial boards and etc. Many of our graduates are famous entrepreneurs and 80% of our academic staff, are our ex-students who now help the young generation with their professional life. MIBO staff supports and takes an active part in cooperation with partners from Finland, Norway, Sweden, Germany, Iceland and CIS countries. Forms of participation are various: professors present their lectures, take part as project coordinators; students study abroad and participate in conferences, make their trainings and internships abroad, at the enterprises of neighbouring countries, get acquainted with foreign languages and traditions. In 2003, MIBO joined the Arctic University and acquired more than 100 partners from Russia and abroad. We have traditionally sided communication with University’s Colleges of Harstad and Bodø, Lapland University, Universities of Umeå and Luleå. While studying in Arctic University of Norway, our students get the Bachelor Degree of Northern Studies. Last meaningful projects: “Practice future”, “Young Innovative Entrepreneurs”, “Bachelor of Northern Studies”, “Bachelor of Circumpolar Studies”. Every year in April, students and lecturers present their scientific – research results. “Scientific Days” have the motto: “Today’s student – tomorrow’s expert”. More than 490 students of our institute and other higher educational establishments, seniour school children, MIBO graduates took part in these events in 2015. Best scientific works were awarded with diplomas, in quantity of 43. MIBO has a high scientific potential – 90% of lecturers has a PhD degree. They publish articles, monographs, have research and innovative activity. In the framework of “Young Innovative Entrepreneurs” project, the international net for young entrepreneurs and their tutors was created. Laboratory of youth business and innovations coordinates work of young entrepreneurs from Murmansk and their colleagues from Finland, Norway and Sweden. Institute’s staff is quite young and ambitious. We want to be able to meet competitions along with the governmental educational establishments on the North-West of Russia. 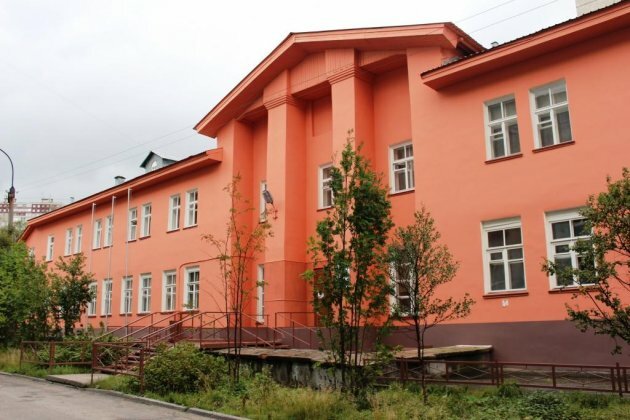 MIBO was established in 90s – hard times for our country – but survived and now is among four best educational institutions of higher education in Murmansk region. In 2015 MIBO was recognized as an effective educational institution by Russian Ministry of Education and Science, in 2012 it became a laureate of “Best Educational Institutions of Higher Education” award and “100 best Goods and Services in Murmansk region”, in 2015. For this year, we plan to establish an intermediate vocational educational institution, promote new research projects, enter new partner relations and introduction of a Master Degree programs. MIBO also broadens the sphere of additional education according to the labor market demands. For better mutually beneficial contacts in 2015 the linguistic centre “Dialog” will be established.